The inspiration station for organization is here! With spring right around the corner, I’m looking for a fresh start to the season and to get organized before the warm weather kicks in. I’m knee deep in organizing everything throughout my entire house and office. I find that when I stop and organize, it helps clear my mind a little bit, too. I feel ready and prepared to take on the new season with a clean slate and less clutter. Throughout my time organizing this month, I’ve found some pretty adorable ways to organize your house, office space, and overall daily life! Let this year be your time to get organized! 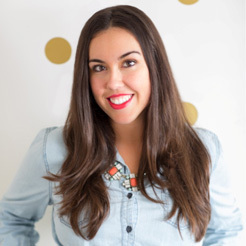 The key to a cute office space is keeping it chic and clean. 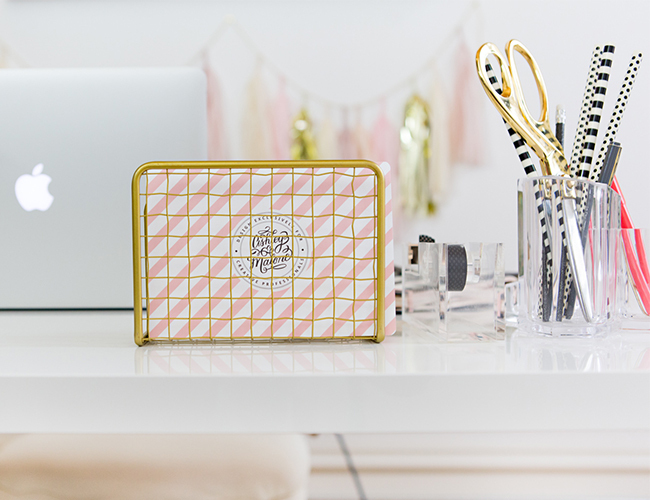 Add some clear desk accessories, like this tape and pencil holder. (The Container Store’s Clear Collection has all the clear desk accessories you’d ever need.) Add your own personal flair with patterned pencils, notebooks, and stationery and let them shine through your clear containers. I love my striped and polka dotted pencils! 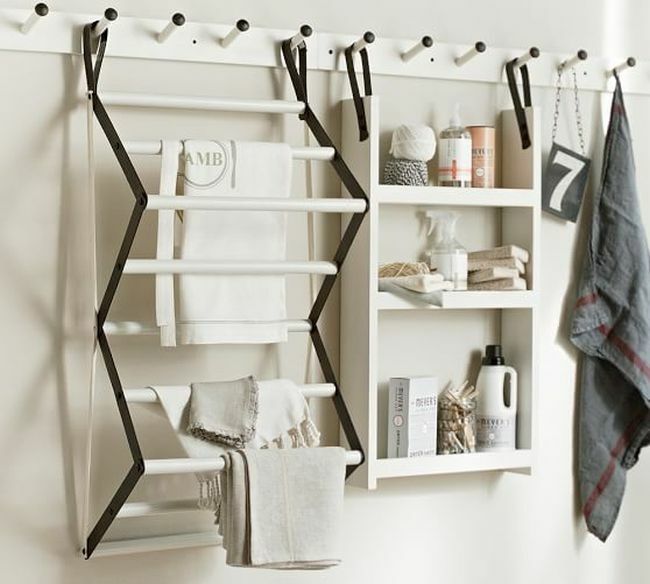 Laundry Rooms are definitely one of hardest rooms in a home to keep clean and organized. 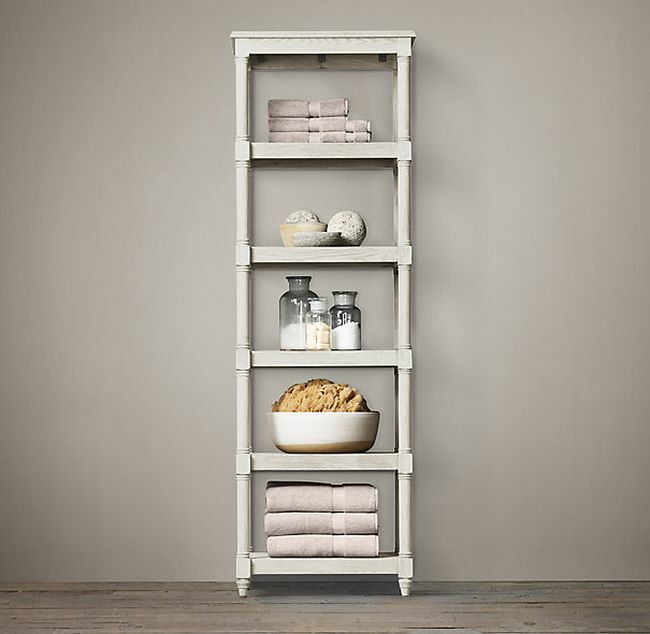 Help categorize all of your materials with this genius laundry rack set from Pottery Barn. 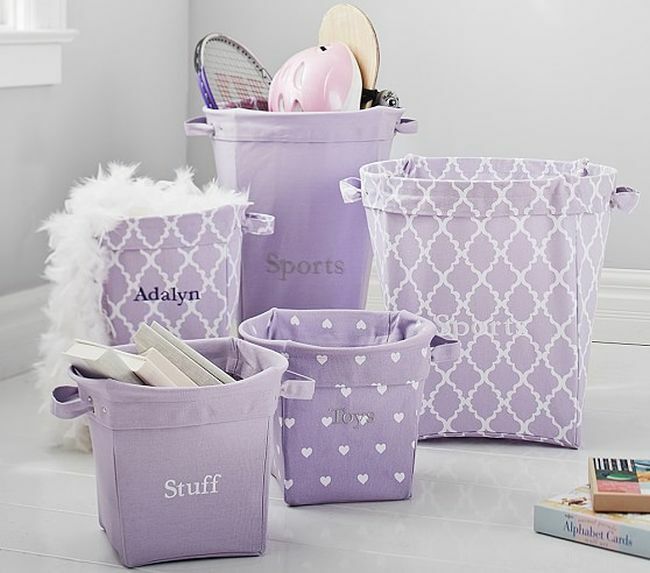 These cute storage baskets from Pottery Barn are perfect for any playroom! Pick up those items off the floor and keep them in these labeled bins! They also come in different colors and patterns. Since they’re light and flexible, they’re easy to carry around or stash up high in a closet when not in use.